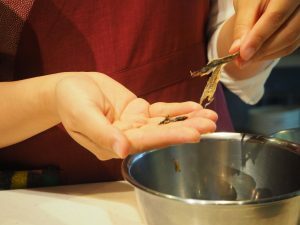 We’ve just done our new cooking class yesterday in Marunouchi studio, which is to make Ramen noodle! 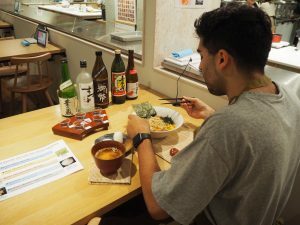 The first memorable guest was Ben from UK, who is planning to open his own Ramen restaurant in near future. How fantastic!! 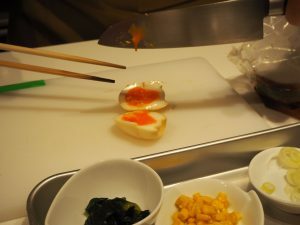 In this class, you will learn every step of making Japanese Ramen, from the broth all the way to the final toppings. 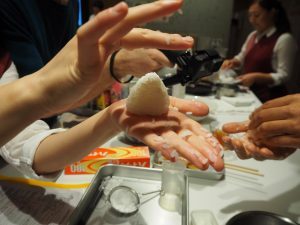 Also a hand-made Onigiri, a rice ball, has lots to learn! We run this class everyday on weekday. Don’t miss out!